How many times have you looked at your grocery budget and realized that it was still higher than you would like it to be? If you’re like most of us, it has probably happened more times than you care to admit. You have that realization and you hop online to find out new ways to save money on groceries, but what happens? Nine times out of ten, you run into the same tips being talked about over and over again and no real new information to help you lower your grocery budget even more than you already have. It was this realization and thought that I had the other day while I stood in my kitchen making homemade chicken stock. We’ve all heard the same tips over and over and it’s very rare that anyone talks about how they really save money on groceries. Sure, menu planning and learning how to shop the sale cycles all are fantastic ways to save money on groceries, but they only go so far. If you ask me (which no one ever really does), these same tips being rehashed with no real new information being put out there is one of the reasons so many people have trouble getting their food bills as low as they could get them. So I decided that since those obscure ways to save money on groceries are so hard to find that I would do a post with the “other ways” that I use to save in my own home. Most months, I feed a family of 4 for around $150/mo which is far less than what I have seen some of my own blog readers tell me they spend. We eat well at my house including steak once a week. Steve is a big meat and potatoes kind of guy and while accounting for that in my grocery budget took some fancy footwork at first, I’ve got it down to a science now. Just because you’re on a grocery budget doesn’t mean you have to eat rice and beans everyday. Just as a heads up; this is going to be a long one. Can’t read it all in one sitting? Pin it for later or bookmark it and come back when you get more time. We all know the clearance section is a great place to find deals, but are you hitting every clearance section your store has? Most offer clearance on meat, dairy and produce as well as the pantry items you’re used to shopping. Here’s the kicker though and this may take a bit of willpower on your end; shopping the meat, dairy and produce clearance sections once a week or month isn’t really going to save you much in the long run. Instead, stop by those sections anytime you have some spare money in your grocery budget and are in the area. You may be surprised at the deals you find. Along with this also comes figuring out what day and time your store(s) mark things down. If you can get there around the same time they’re putting clearance items out, you’ll stand a much greater chance of getting the deals you’re looking for. A good example is the photo above of the clearance deals I shared on Instagram just a few days ago. Since I was able to figure out when my local grocery store marks things down, everything you see pictured cost me exactly $8.68. 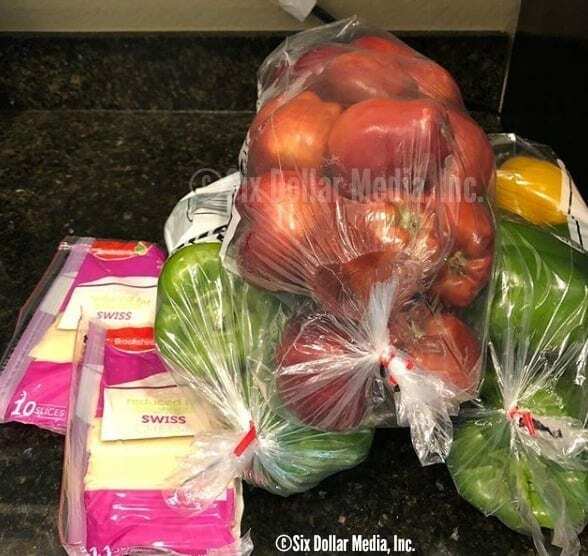 Each bag of produce was $2.00 and each package of cheese was $1.34 each. Everything except the apples went into the freezer and my girls have devoured the apples since I brought them home. The next time I shopped the clearance section at this particular store, I scored a gallon of milk for $1.40, two pounds of cheddar for $2.50, a roast that was regularly $11.00 for only $6.00 and another package of swiss for the$1.34 price. 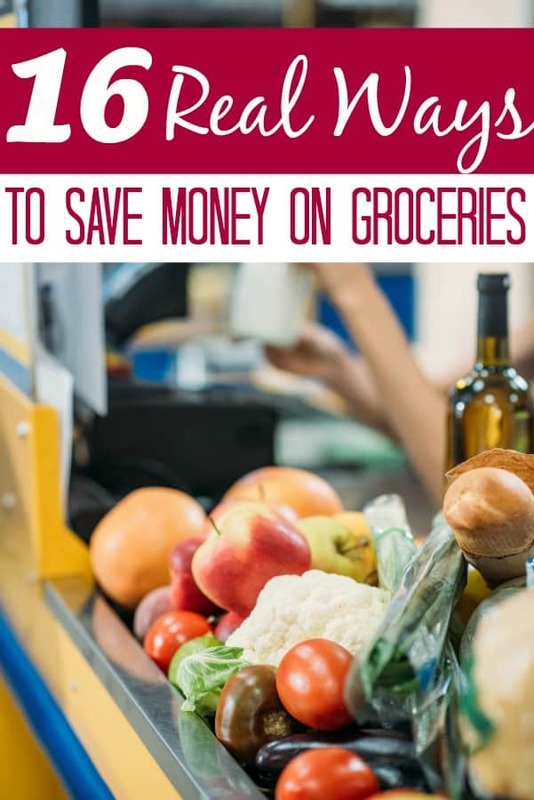 This really is one of my favorite ways to save money on groceries and I usually keep my from my grocery budget back just for stopping in when we’re near. Since it is on the way home whenever we go to the next town over, I’m not spending any extra gasoline to stop by when we come home. Do understand though that when you’re shopping clearance for meat and produce that the items you’re getting won’t always be in pristine condition. The meat may be starting to change color since it is nearing its sell by date. The produce may have a few bad spots. That’s okay. Put the meat in the freezer immediately and cut around the bad spots in the produce when you eat it or preserve it. With all of that said, I mentioned that it will take a bit of willpower on your part and it’s true. If you can not walk out of the store with nothing other than your clearance purchases or if you’re frequently susceptible to giving into impulse buys, don’t utilize this tip until you can get that under control. You will only cost yourself more money than you will save in the long run. Side Note: Really looking to increase your savings in every area of your home and life? Check out my book, Six Dollar Family HERE. It’s packed with awesome ways to save money and more! Available on Kindle or in paperback. Yeah, I know this is one that I’ve mentioned quite a bit, but there is a reason for that. 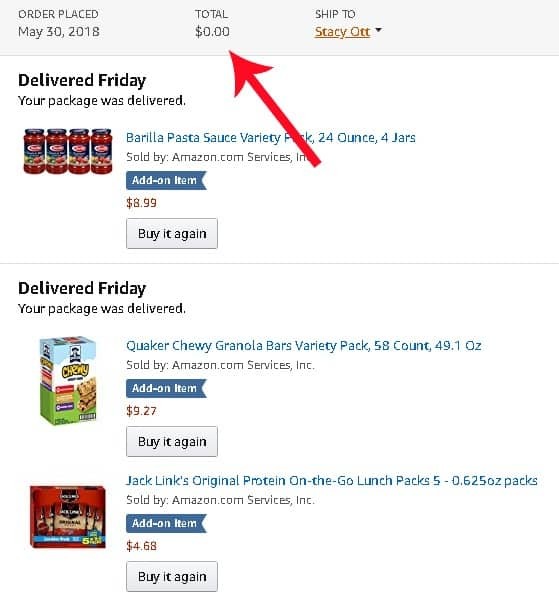 It works and really is one of my favorite ways to save money on groceries and in fact, I used it just the other day to buy pasta sauce and snacks for my girls totally free from Amazon. I was only able to do that because I took the time to earn free Amazon gift cards. While we use my homemade pasta sauce recipe most of the time, I do like to keep a few jars on hand for the nights when we run out of mine or one of the girls cooks dinner to make it easy on them. When you take the time to learn how to earn free Amazon gift cards, you open up one of the best ways to save money on groceries that I know of. Instead of using cash from your grocery budget, you are now able to use those gift cards to help yourself buy items you normal buy, but you also give yourself another way to build a stockpile on a budget without breaking your wallet in half. 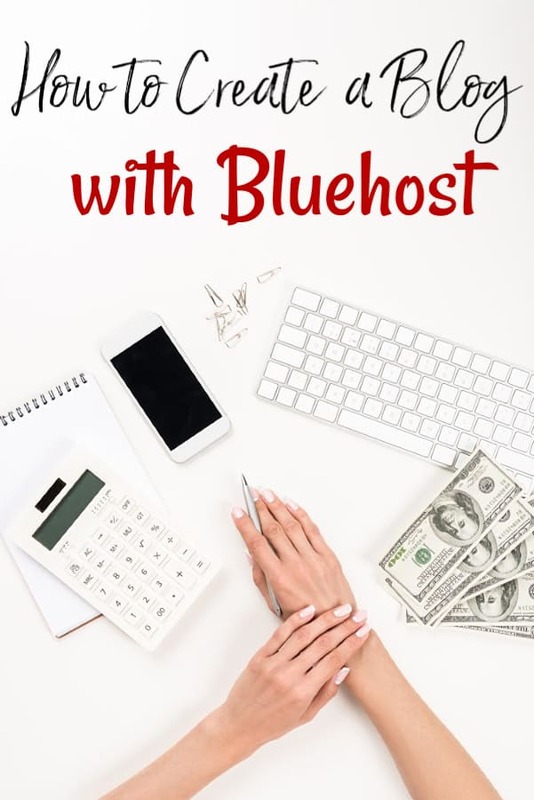 Yes, learning how to earn free Amazon gift cards can be a true learning experience, but it will do wonders for not only your grocery budget, but your personal budget as well. For me, I use a variety of legit survey sites to earn free gift cards online. These 39 ways to earn free gift cards online are a fantastic place to start for anyone who is just starting out or wanting to increase their online earnings. If you shop for fresh produce, check to see if you can buy the seconds instead of the regular priced items. Unsure what “seconds” are? Well, they’re produce (usually) that has been rejected by the main store for one reason or another. Usually they’re slightly bruised or may be close to their freshness peak. Since most items can be preserved past their dates in one way or another, as long as you keep the amount reasonable to what you’re able to preserve, you’ll be able to save the product for later and save money on groceries at the same time. This tip works best if you buy at farmer’s markets or can find a farmer to buy from directly and that is how I utilize it. I have, however, seen it done at grocery stores successfully. Like anything else in life, you’ll never know unless you try. As a society, we waste an enormous amount of things that could be used in a different way and a lot of those ways will save money on groceries in one way or the other. If you’re using every bit of everything that you can, you’ll spend less later on. For instance, did you know that you can regrow certain vegetables from scraps? Why not start a container garden from scraps and save money on fresh produce? It’s easy to do. I highly recommend that you start with learning how to regrow celery from scraps since it is one of the easiest to do. What you won’t use in your container garden can most likely go into your compost pile since here is a huge number of things you can compost. Even things that you wouldn’t be likely to look at and think it could be used differently can be. Have bananas that are browning? Make this amazing banana bread recipe or these banana bread muffins and keep them from going to waste. Throw the peels in your compost and you’ve eliminated any waste. Egg shells can be ground up and fed to your dog (or chickens) as a calcium boost or tossed in your compost. Coffee grounds can be made into a coffee beauty scrub or added to your compost. Orange peels can be used to make a homemade orange oil cleaner. Apple peels and cores can be added to compost or used to learn how to make homemade apple cider vinegar. If you opted not to grow a container garden with your scraps, keep your chicken bones, carrot scraps, celery scraps and others to make homemade chicken stock. Stale bread can be run through a food processor and turned into bread crumbs. My point is that there are endless things you can reuse to save money. You only need to look at things a bit differently and once you start, you will find yourself saving more and more each month. Another fantastic way to cut down on the amount of goof you’re wasting is to learn the difference between sell by and use-by dates. We toss millions of pounds of food each year that really didn’t need to be simply because someone misunderstood how to read the date. By learning the difference, you’ll find yourself tossing far less food than you probably currently are. I am all for making more and buying less. In fact, one of the first things I did back in 2015 when I really needed to start cutting expenses was to stop buying and make these 30 items that we used on a regular basis. That originally list of 30 has expanded quite a bit now and can be found HERE if you’re interested. Here’s the catch though; not everything on those lists will be frugal for your family. The truth is that some of the items; such as my homemade deodorant recipe or my coconut shampoo recipe; can be quite expensive if you’re not already spending a lot on deodorant. In our case, we were spending quite a bit on it and making it homemade really was cheaper for us. In addition to the amount we used, there were also health issues on my part from using a lot of store bought products that was driving up the costs as well. If, however, your deodorant of choice isn’t causing you health issues and you use an affordable brand such as Suave deodorant, you will save more in the long run by skipping the homemade version. Please don’t misunderstand me. I am an urban homesteader. I enjoy making what I can homemade for my family and I highly encourage you to make as much as you possibly can. For the most part, homemade will almost always save you money and aside from that, they are much healthier than over processed items that really aren’t great for your body or home. I simply want you to understand that homemade doesn’t always equate to frugal. Once you understand that, you can make the decision whether making something at home is going to help or hurt your grocery budget. One thing that drives me absolutely batty is when someone claims a meal is frugal that really isn’t. Tacos are a good example of what I mean. How many tacos does it take to feed your family? I know that each of my girls can eat four or five in one sitting. Steve can eat as many if not more if he’s super hungry. We’re already up to twelve tacos and that is without me eating. Now ask yourself how much meat you actually use to make enough tacos to feed your family. Do you really only use 1 lb of meat? No, you more than likely use 2 lbs and maybe more depending on how large your family is. Right there you have a meal that costs around $4.00 just on meat alone. Add in shells or tortillas, cheese, salsa, lettuce, tomatoes, sour cream, beans, guacamole and any other toppings you may eat with your tacos and your “frugal” meal just got pretty expensive. Why? Because you cooked for the individual. Instead, you could have grabbed a 9 x 13 baking dish and layered all of your taco fixings in it as a taco casserole and fed the entire family for considerably less. Why? It takes fewer ingredients to layer that baking dish as a casserole than it does to feed each individual a taco. When you make a taco casserole, you can use 1 lb of meat. You can use less lettuce and less of each ingredient because of how it layers in the dish. Everyone will eat their fill and your grocery budget will be a bit lighter. When you do sit down to plan your menu, make sure you’re planning for the family as a whole and not individuals. Individuals are super expensive to feed. Families really don’t need to be. I’ve already mentioned learning how to regrow vegetables from scraps and learning how to start a container garden, but if you have the room, learning how to start a garden on a budget is best. It’s pretty easy to understand that the more you can grow, the less you have to buy. However, gardening isn’t always frugal. If you’re spending money to buy fertilizer every month or if you’re buying plants and aren’t savings seeds so you can start your garden from seeds, if you’re growing things your family won’t eat or if you’re letting your excess garden crop go to waste, you’re going to spend more in the long run than you would if you had just purchased your produce. Instead, learn how to make organic fertilizer at home. Take the time to figure out which type of garden is best for you so you have the kind of yield you want. Learn which items you can compost and what can not be composted and use your food scraps to make compost. Grow only what your family will eat and try not to plant more than you will need unless you plan on selling at a farmers market. If you keep your garden realistic, you’ll save money. If, however, you let things get out of hand, you’ll only end up spending more. If you don’t eat meat, this one won’t apply to you but if you do, it does. Hunting and fishing are really overlooked ways to save money on groceries because the simple truth is that not many people know how to these days. It used to be that hunting and fishing were just a normal part of everyday life because frankly, if they didn’t hunt or fish, they didn’t eat. 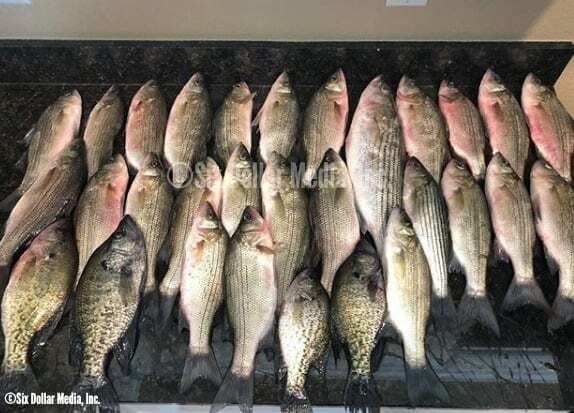 These days, it is simple to head to the store and buy a cut of beef instead of hunting deer and it is just as simple to buy that cut of fish than throwing out a fishing pole yourself. Even if you can only provide a few meals a year for your family, you’re still saving money and your meat is much healthier than meat that is raised in commercialized farms or stocked lakes. That alone makes it worth it. Have you ever shopped for groceries online? If not, you’re missing a few fantastic deals each month and one of my favorite ways to save money on groceries. Using programs like Amazon’s Prime Pantry, shopping places such as Thrive Market, shopping sites like Grove Collaborative and other sites can all be great ways to find deals. Even signing up for a Groupon account and shopping their “Goods” section can be good for saving money on household goods and groceries if you watch the deals. In fact, a lot of the deals I get on pantry goods and household items are purchased online. Before you shop online, be sure that you take the time to figure out unit price. As I said earlier in this post, it really is the only way you can determine whether you’re getting a true deal or one that is simply being advertised as such. Also make sure you are signed up for the appropriate programs if you need to be. For instance, you can’t learn how much money you can save with Prime Pantry unless you are an Amazon Prime member. If you’re not, you can score a FREE 30-day trial to Amazon Prime HERE to check it out. Prime can really be worth it since there are so many benefits to Amazon Prime and you can really save serious money as long as you make sure you’re not shopping Amazon wrong. Finally, be sure that you have taken the time to sign up for an Ebates account before you shop. Ebates is a cash back shopping app which means that when you shop online, they will pay you a portion of your qualified purchase back in cash. This cash back can go a long way toward helping lower your grocery bill even if it isn’t much at a time. Little bits add up to big numbers eventually. Ebates can be sort of hard to understand so knowing how Ebates works (HERE) can be a huge help when you’re first getting started with them. We are often told that buying in bulk is best, but the truth is that it usually isn’t. Unless you know with 100% certainty that your family can use a bulk item before it expires or goes bad, you will be taking a risk with your money. Now obviously, this doesn’t apply to things such as paper goods and only applies to foods that have short shelf lives. Items such as mayonnaise that can spoil or cereals that can go stale are a huge bulk buy risk if your family can’t eat them in time. Instead of buying these risky items in bulk if your family won’t eat them, take the time to find the best deals you can by figuring out the unit price when you’re shopping for them in regular sized containers. To figure out the unit price, you simply divide the item cost by the size or quantity of the item. Purchase the cheapest item per unit and skip the bulk buy. To be fair, figuring out unit price should become a habit anyhow. It really is one of the only ways you can know if a deal is truly a good deal or if it only appears to be on the surface. If you do want to shop in bulk, shopping Amazon can be a great way to get started without having to pay for a club membership. Once you have a better idea of which items you should buy in bulk and which you shouldn’t, you can then buy your memberships. Watch Groupon for deals on both and you’ll even be likely to score a free gift card and free food when you buy your membership. I know, blasphemy, right? Not true. Printing coupons can be a great, money saving tool, but they can also cause you to spend more than you want to. Make sure that you’re only using coupons on products that are a) a true deal and b) you actually need. Simply put, buying simply to buy or simply because you have a coupon, buying more than your family can use or buying just because you can is wasting money. Instead, if you use coupons to save, learn why I stopped extreme couponing and learn to coupon responsibly. Your budget will thank you. One of the biggest dangers to your grocery budget is eating out and foods that are easy to make, but expensive to buy. The way to combat this is to simply cook your food yourself. I know this is a tip that is said a lot, but that is because it is a super important one. Eating out, especially, can not only consumer your entire grocery budget, but it can work it’s way into your personal budget as well. If you aren’t the greatest cook or have never cooked at all, take the time to sign up for a Craftsy account. They offer online cooking lessons done by video that can be a HUGE help for someone who is just learning. Some of their content is paid, but you can sign up for a FREE 7-day trial of Craftsy Unlimited HERE to give yourself a chance to make sure you really like the videos before you pay. Another great place to find videos that teach you how to cook is Udemy. When you sign up for a Udemy account, you pay per video that you want to watch instead of a monthly membership fee. A lot of the time, they have $15 sales which not only helps a small business video creator but also gets you a great deal! Last, but certainly not least, Youtube is fantastic for learning how to cook. Simply search for cooking lessons and you’re off! If you don’t already do a lot of cooking, you may spend more at first working on building up any kitchen equipment that you need. If you’re unsure what all you may need, you can check out my recommended kitchen products HERE on Amazon. Scroll down if needed since they will be at the bottom of the page most likely. Learning how to preserve food is always a good idea for anyone looking for ways to save money on groceries, but again, it is something that you need to be wise about doing. If you aren’t sure how to preserve the food you’re doing, you could screw up and not only make your family sick, but you could end up wasting much more money than you save. If you’re planning on dehydrating, picking up a few dehydrator recipes is a great place to start since you will already have an idea of what you need to do to properly dry your food. On the other end of the preservation spectrum is learning how to can food properly. Canning can be a huge money saver, but it absolutely must be done correctly since every jar is a risk for botulism if they are not processed correctly so make sure you’re following basic canning safety tips to keep your family both fed and safe. Most people think of their store receipts as trash, but the savvy shopper who is looking for any ways to save money on groceries that they can get knows that those receipts can sometimes earn you cash back if you’re using the appropriate grocery rebate apps. When you sign up for an Ibotta account, you’ll be able to choose grocery rebates that you want to cash in on. Purchase the product, scan the receipt or bar code and watch as the money is added to your account. When you reach $20 in your account – which isn’t too terribly hard to do – cash out for Paypal cash or for a free Amazon gift card. Plus, Ibotta often offers a sign up bonus for new members who use THIS link. You aren’t guaranteed one, but it can sure be helpful if you get one. Ibotta is my favorite rebate app since they often offer cash back on “normal” grocery items such as fresh produce or milk. Checkout51 is my other favorite grocery rebate app. When you sign up for Checkout51, you work it the same way as Ibotta. Check which rebates are available to you, purchase the product and scan your receipt. Payout is $20. One of the best ways to save money on groceries that I know of is to use a filler to make it seem larger and make it more filling. There are quite a few different fillers you can use to stretch a meal that are all cheap and won’t break your grocery budget. These fillers don’t take away from the recipe itself and don’t make the meal any less healthy or delicious. They simply stretch what is there so that it goes farther and feeds more people. Finally, learning to substitute in your cooking is my last favorite ways to save money on groceries. Instead of using a cheaper ingredient, you use a more frugal one that doesn’t change the taste of a recipe. Learning which frugal substitutions you can make in cooking allows you to make your cheapest recipes without spending more of your grocery budget than you need to in order to feed your family. There you have it. 16 ways to save money on groceries that very few people will tell you. Do you have any other “uncommon” ways to save money on groceries that I’ve missed? I’d love to hear them if so!